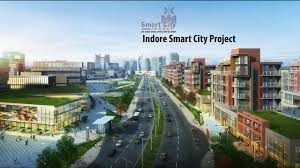 Indore Smart City Development Limited, the SPV formed to implement various projects for Indore Smart City under the Centre’s Smart Cities Mission, has floated a tender to install 30,000 smart energy meters in the city with the bid-submission deadline of October 31, 2018. The project, with an estimated cost of Rs 157.9 million, has to be completed within 24 months in the areas identified for the area-based development (ABD). “The scope of work includes the supply, installation, testing, and commissioning of about 30,000 smart meters with RF mesh communication. The successful bidder will be responsible for integrating the smart meters with existing communication infrastructure, existing head end system (HES), meter data management (MDM) system, cloud hosting for applications, billing system and revenue/service advisory services of Madhya Pradesh Pashchim Kshetra Vidyut Vitaran Co. Ltd,” a missive from Indore Smart City Development Limited said. Installing smart energy meters in the 100 smart cities selected by the Government of India is a crucial part of the plan to improve power efficiency and customisation of power usage. Energy Efficiency Services Limited (EESL), a JV of PSUs under the Ministry of Power, is responsible for implementing Advanced Metering Infrastructure (AMI). A smart meter reduces meter-reading, data-entry errors and costs by removing the need for manual meter reading. Therefore, enabling utilities to reduce their Aggregate Transmission and Commercial (AT&C) losses and billing inefficiencies. Recently, EESL entered in partnership with North Bihar Power Distribution Company Limited (NBPDCL) and South Bihar Power Distribution Company Limited (SBPDCL) to install smart meters in 130 towns to cater to 1.8 million customers. Power distribution company Tata Power Delhi Distribution Limited has also announced a project to install smart meters in Delhi to cater to 1,600,000 consumers.